In my humble opinion, DK is the 'ancient oriental Elder' who, at present, administers humanity's trust fund (founded by St. Germaine) and will be the One to release the funds at precisely the right time to achieve the highest good for all. In the meantime - carry on! I am Djwhal Khul. I am DK. Yes, you have seen me with my friend SG. [St. Germaine?] It is seldom that he steps aside and invites me to speak on all of our behalf. So welcome my beloved friends, my beloved allies, my brothers and sisters of this planet called Gaia – Earth, Terra Gaia, and many other names that perhaps you are not so familiar with. And, yes, it has been and is the intent of St. Germaine, with his beautiful Violet Flame, to eliminate all doubt, all need, all want, all neediness, all lack, all limitation, all this silliness within your hearts and upon the planet, and that has been for, oh, a few thousand eons. So, even we are getting a little impatient. And yes, I want you to know I am walking the earth, not fully or permanently as yet, but enough to make my presence known and felt. And we can talk about the elimination of lack and limitation and we can talk about the creation of balance in the exact same breath; we can share that space because they are one in the same. And I am not just talking about money, although money is part of it…money is one of those things that as human beings you have a great deal of interest in and fear of. It is a curious phenomenon, is it not, that you desperately at times want what you most fear and you fear what you most want. And of course money is simply an idea, it is an illusion; in fact, one of the strongest illusions upon your planet at this time. And it is illusion because it is simply…what has happened that some magician has come along – I’m sure he was from the Far East – and he had a wonderful mechanism where he would take a plain piece of paper or a plain piece of metal and turn it into something called currency that was worth…valued at various rates…very strange! But this has been an illusion that most of your planet has, in fact, engaged in. Now, it is not a harmful trick or illusion or a piece of magic unless, of course, you have come to fear it and lust after it…and I use this word ‘lust’ because it is a very different sensation and experience than simply enjoying. All of the riches of this planet, the one that the Mother created…I don’t know if you remember that so clearly at times…all of the riches of this planet were intended to be enjoyed, whether it was the lush fruit or the many varieties of vegetation, of vegetables, of the various sources of food, of sunlight and air and even water and rain and snow. All of this, the diversity, the beauty, was intended to be enjoyed. And then what occurred was that some individuals and groups came along and said, “No, no, no! We want you to measure out your enjoyment. We want you to remember that you are not entitled to really enjoy the luxuries and the bounty, the riches of this planet.” And in your naiveté and in your false belief of arrogant authority, you agreed. But the desire…and I use this word ‘desire’… to enjoy and to access and to participate in the bounty of the planet, never disappeared. And so then you came to yearn for these riches, this diversity, the access – and access also became a desire. But there was fear attached to it because there were penalties if, in fact, you broke the rules or the laws, the false laws of those that you had granted authority to. It is time my friends, as Gaians, as Nova Beings, yes, even as New You’s, to say good-bye to such illusions. 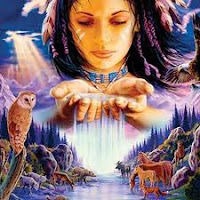 The bounty of Gaia is equally available to all, and as that becomes righted, yes righted, as this becomes corrected, what will happen is also Gaia, in her cooperation with you will also re-balance so that there will not be the disparities…and what I am referring to is disparities of feast or famine, of drought or overabundance of moisture. 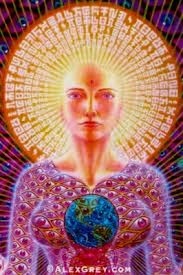 The planet herself is an archangel and has infinite capacity to adjust. What she has been waiting for is you and you, my friends, are at that doorway. Lack and limitation does not only indicate or connect to what you think of as this magical money or currency. Archangel Michael has been very clear with you, that what he has been talking about is spiritual currency and it is very important that not a one of you upon this entire planet forget that. This is a spiritual journey. You have access to the riches of the planet equally, equal access. But it is not about a material journey, it is about a spiritual journey, it is about being an angel in form or a master in form…not ‘in the making’ any longer, but in form. dimensionally…I do not know what ascension feels like…I do not know the true expansion of my heart.” What is this ridiculousness? My friends, stop it and stop it right now! I say this, yes, as your teacher but also as your beloved friend. There is no need, there is no reason, there is no payoff in limiting yourself. You have this expression, and I really like it, that ‘the world is your oyster’. 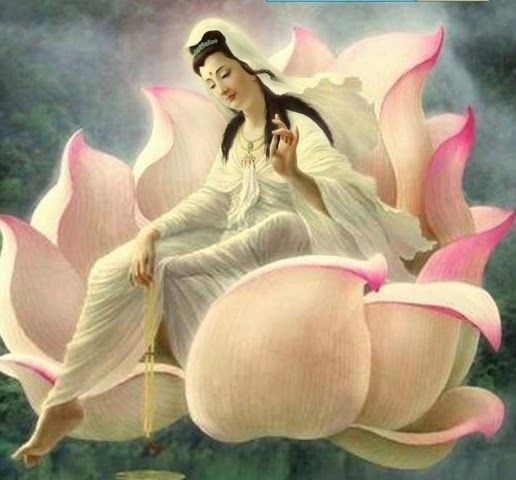 Well, then start harvesting the pearls…especially the pearls of pink that are given to you from Quan Yin, with a grain of sand inside to remind you from whence you have come. But be your lustrous, beautiful self, whether it is a shade of amber or a shade of pink or a beautiful amethyst, it matters not. That is the beauty of diversity; that is the beauty of who you are. And yes, I travel the planet to invite you, in balance, in truth, in clarity of your being, to be who you are, not because that is who I love, but because that is your freedom, that is your birthright, that is your promise to the Mother. So, let us begin this day and every day by saying good-bye to lack and limitation, to this illusion, and truly being magicians. Go with my peace, my balance, my clarity. Farewell. Thanks to goldenageofgaia.com for this article.